Welcome to Laser & Craft Studio’s Online Sales Terms and Conditions. These Terms and Conditions govern sales made on the Laser & Craft Studio online sales webpage. You agree to be bound by these Terms and Conditions by clicking on the “I Agree” button on the checkout page. We reserve the right to amend these Terms and Conditions at any time by posting amended terms and conditions on our website with a revised effective date. 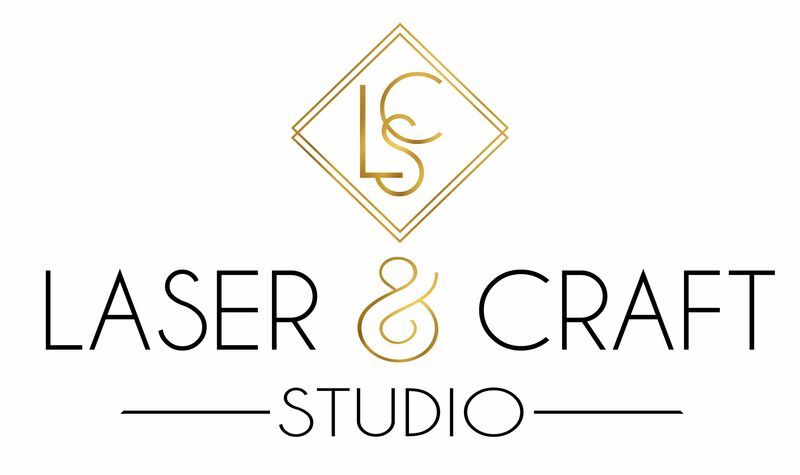 The terms “us”, “'we” and “our” refers to Laser & Craft Studio, a South African Sole Proprietorship. Our contact details are listed on the website page "Contact". The term "you" refers to the purchaser of the product or user or viewer of the online ordering features of our website. Prices listed are for immediate ordering only and are subject to change. Prices do not include shipping, which will be charged separately during the “checkout” process, should you make use of the shipping options provided. Reward Points may change without notification. Reward points are ONLY awarded on sales made in ZAR and do not apply to foreign currency sales. If any reward points were awarded on a sale that was returned for a refund, the reward points for that sale will be reversed. On some of our products you will have the option to have the items personalised/customized. Please note that we will do our best to personalize/customize your item to the best of our ability. We may be limited in shape or size of the item and we will design the custom layout as we feel is best and most practical. By customizing a product, you accept the results as per our discretion and design. No refunds are available for personalized/customized products, unless we made an error with the requested personal information. We typically ship products 3 to 5 working days after you order them, subject to availability of supplier-materials. We will email you with order updating, as well as any delays that might occur. We accept MasterCard and Visa for online orders, as well as Bank Transfer (EFT). We make use of a 3rd party payment gateway; nl. Payfast. Payfast is a certified and trusted S.A. payment gateway. All card payments are processed by Payfast and the payment processing is subject to their own terms and conditions. For more information about Payfast, please visit their website here. Payfast also provide online EFT processing via SID, a secure and instant EFT payment method. You may also select the “Bank Transfer/EFT” process. Bank details will be provided together with instructions. For more information about this service by Payfast, please visit their website here. We will provide you with more than 1 shipping option during the checkout process. 1. You may elect to collect the order in store. 2. You may arrange for delivery via your own courier service, which will be deemed your agent. 3. You may elect to make use of our courier service, offered through Dawn Wings. This option is available in the shopping cart as part of the check-out process. You will receive an immediate quote in the check-out page on your delivery options available and the relevant cost. Your choice will be added to the total check-out costs. We do not take responsibility for the shipping services. For more information on Dawn Wing courier services, please visit their website here. PLEASE NOTE: Delivery period quoted is for the Courier service's lead time only, this excludes Laser & Craft Studio's production lead time. All shipments are made “FOB Origin”, meaning the sale is final, our delivery to you is deemed complete, and risk of loss or damage transfers to you, upon our delivery of your order to the shipping company. If your order is lost or damaged in shipment, you will have to make the claim against the shipping company. We do not insure your shipment. All products are warranted to be free from defects in materials and workmanship for one (1) month from the date of shipping. We will, at our option, and as our sole obligation and your sole remedy, (a) repair or replace the defective product or (b) refund the purchase price. The warranty period for the repaired or replaced product will not exceed the original warranty period. The warranty does not include/apply to any product problems we determine have been caused by accident, abuse, or negligence, or by damage by water, heat or other environmental cause, or by unauthorized repair or modification. In no event will we be responsible or liable to you or any third party for any lost profits, or incidental, consequential, indirect, special or contingent damages arising from or relating to this contract, even if we have been advised of the possibility of such damages. Our total cumulative liability in connection with this sale, including for any liability on account of a claimed defect in any product, whether in contract or tort or otherwise, shall in no event exceed the purchase price of the product. All sales are final, no returns will be accepted other than as provided in these warranty provisions. These Terms and Conditions shall be governed by and construed in accordance with the laws of South Africa, without reference to its conflicts of law provisions. Any dispute shall be subject to the exclusive jurisdiction of the courts located in South Africa, and you hereby irrevocably agree to submit to the personal and exclusive jurisdiction and venue of such courts. The various section headings used herein are inserted for convenience of reference only and shall not affect the meaning or interpretation of these Terms and Conditions or any section thereof. If any term, provision, covenant or condition of these Terms and Conditions is held by a court or arbitral panel of competent jurisdiction to be invalid, void or unenforceable, the remainder of the provisions hereof shall remain in full force and effect and shall in no way be affected, impaired or invalidated.